Sometimes, I have thoughts. Sometimes, others do! A cool draft wafted through the dark room. No, it is not so dark. A trickle of light seeped in from the lantern hanging one door down the hall. A soft white beam from the moon rimmed the window and a faint orange glow from the fire on the edge of town danced along the ceiling. Eruviel sat in one of the two chairs in her smaller room, her feet propped up on the second as she sat watching the hall. She had left the door to her room cracked open to keep an eye on the hall. Eirikr had finally returned, having been let in from the back by the barmaid Eruviel had befriended. She could only hope that after all this time, and after everything both of them had been through — especially Ninim — that they were able to reconcile. 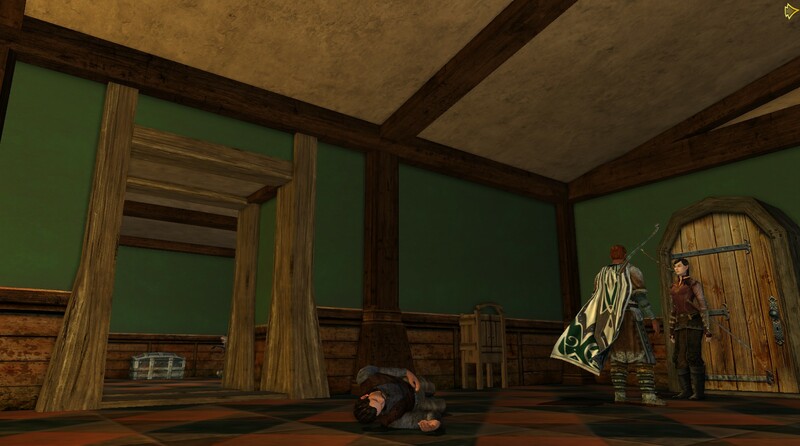 The tension in the air lingered as Eirikr left the inn. She watched him as he strode away, a considering, neutral expression carefully fixed on her face. For a brief moment she thought she saw a shadow follow after her friend, and she thought about making pursuit but not all the tension left with him. There were still a number of patrons in the inn and if any of them had been watching every move she made would be scrutinized.